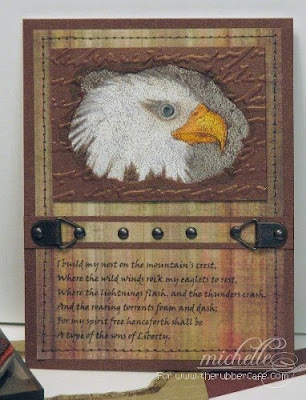 If you've seen Melissa's booth, you may have seen these cards featuring the Eagle Petroglyph image. I'm heading out for a vacation tomorrow, so I dug into my archives and don't think these images have been shared here. 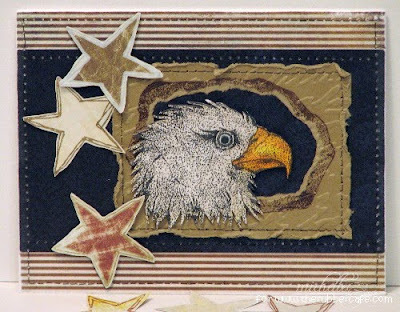 This image is perfect for patriotic cards as well as for any masculine purpose. For this first card I stamped the image once on kraft cardstock in brown ink, and a second time in black ink on white cardstock. I carefully tore around the inside of the image to create a frame for my eagle. This panel was run through a cuttlebug embossing folder, faux stitched and then distressed. I colored the eagle's beak with Copic Markers and cut him carefully out. This card also uses the frame technique. I printed the verse from the computer. I hope you enjoyed a peek into the past with these....this is a totally timeless stamp that I will be pulling out again and again! Wow - very cool! 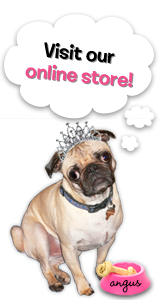 I love this image and your cards using it.